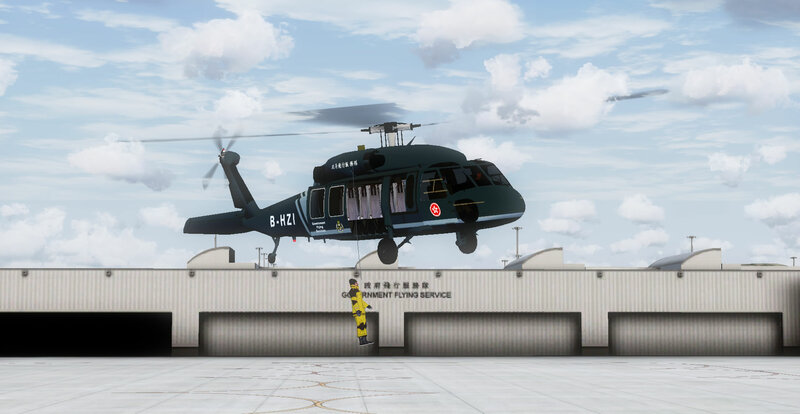 The major responsibilities of the Virtual GFS is to simulate 24 hours emergency helicopter and fixed-wing flying support and operations. The area covers the majority of the South China Sea up to 400 nautical miles south of virtual Hong Kong in VATSIM & IVAO. Carriaging of VIPs and government passengers.